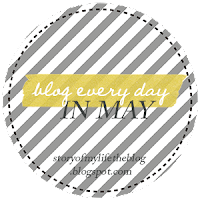 Blog Everyday in May Challenge Day 5! My blog has just picked up recently so I don't have any 'besties' from the blogging world, yet. But I have made 'met' some pretty awesome people like Rhonda over @ Hepburn and Houndstooth, Aubrey over @ High-Heeled Love, Kali over @ Kali Now Living and just recently Britt @ ittbritt!! Can't wait to get to you know you all better! There are many bloggers that I admire and look up to though. No doubt about that. So today, this post is for my best friend. The friend I made in September of 2012 in anatomy & physiology. Patricia C. Even though I didn't stay in that class - it didn't matter. We still keep in touch. We rarely see each other on campus. That still doesn't matter. Because whenever we meet up and fill in one another on our lives it's as if no time was lost. I especially love how we can't have a casual phone conversation. Nope. It has to be at least an hour long. I have never ever had a phone conversation with you that's been less than an hour. I love that when I call you that becomes your break from studying. I'm so excited for our little date! Patricia, you are beautiful inside and out. You are going places in life. I miss you, but I know you're a phone call away or I can just come to your house, anytime, any day. You mean so much to me and I just want you to know how much I value our friendship. This is why I'm love our realtionship- because it's real and special. There were obviously a few people to whom I wanted to dedicate this post to. Since you all are family though- you should already know how much I love you. Real quickly - Amber baaji you already know how I feel about you and how much I value our bond. Like your bracelet says "Fate made us sisters and Best Friends" Haya, you're my other half and understand me in a way no one else can. And baaji, you're not just a cousin, you're my elder sister and I love you so much. There are so may people who have stood by by side through thick and thin and have supported my dreams. My parents, brother, family, even you Patricia. So thank you all. Grab that button & join the fun! Link up! Thanks for the shout out miss! I'm glad we found each other! Your friend sounds like the creme de la creme. Casual phone conversation minimum an hour, love it! Thanks for mentioning me, sweet girl!